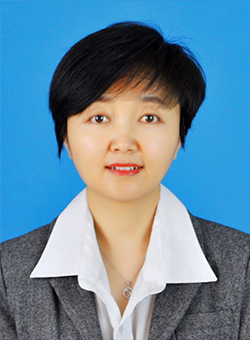 Biography: Dr. Yamei Yan, born in 1982, Ph.D, is an associate researcher. Young top-notch personnel talents of Ningxia Hui Autonomous Region (reserved candidate for academic technology leaders of “Goji berry Product Processing”), Mainly engaged in the research on the new resources and new components, efficacy mechanism and deep processing of Goji (Lycium L.). She hosted/participated in 22 projects or Funds; obtained 4 items of national invention patents, 6 registration achievements, won 1st and 3rd prize for science and technology progress in Ningxia Hui Autonomous Region. More than 20 academic papers have been published by the first author/corresponding author; developed 10 deep processing products have been developed, including Goji Mingmu soft capsules, Goji Bee Pollen Tablets, Lycium ruthenicum Murray tablets and so on. Among them, 5 achievements have been converted. It has great significance to improve processing conversion rate and economic benefits of Goji products. Abstract: Wolfberry (Lycium L.) is a traditional edible and medicinal in Chinese and Eastern cultures, which is thought to nourish the liver, kidneys, and eyes for over one thousand years. Modern studies have demonstrated the preventive and therapeutic effects of Goji berries and their extracts against oxidative damage, age-related macular degeneration (AMD), liver damage, and other disorders. However, due to its nature of mixture of a large number of constituents, it is quite difficult to delineate the major effective constituent and therapeutic mechanism responsible for those beneficial effects. This article presents a brief review of the structural classification, metabolism, bioactivities, health benefits, extraction, and product development of the major constituent-carotenoids from wolfberry. Furthermore, potential directions for future research of the carotenoids are outlined. 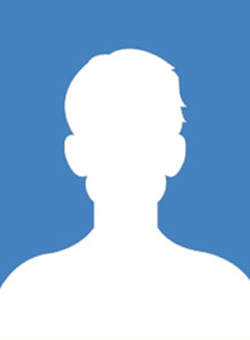 Biography: Dr. Chi Hai is an assistant professor in Lab. of Seafood Safety Control and Processing at East China Sea Fisheries Research Institute, Chinese Academy of Fishery Sciences, Shanghai, China. Chi Hai was financially supported by China Scholarship Council, and conducted his Ph.D. work at Lab. of molecular microbiology at Norwegian University of Life Sciences in 2012. On completion of his Ph.D., Chi Hai now mainly focuses on the food quality and safety control, foodborne pathogens monitoring and inhibition, antimicrobial peptides (bacteriocins) and their applications on the seafood and aquariculture. Till now, Dr. Chi Hai has published approximately 60 academic papers, 6 patents in China, and obtained scientific rewards from Shanghai and National bureau of oceanography. Abstract: Bacteriocins are ribosomally synthesized polypeptides or proteins with antimicrobial activity. Lactic acid bacteria (LAB) are generally recognized as safe bacteria, and the bacteriocins produced by LAB were known as its high potency, greenness and safety. Therefore, it has drawn widely attention. However, the limited understanding of mechanisms of LAB bacteriocins, to some extent, inhibits its effective development and applications. In this literature review, we summarized the related research progress about LAB bacteriocins, systematically classified the existing bacteriocins, and elaborated the mechanism to against Gram-positive bacteria according to their classification. In the end, the potential applications of bacteriocins in aquaculture and aquatic product processing were discussed, aiming to provide new antimicrobial explorations and basic theoretical basis for the development and applications of LAB bacteriocins.